As January draws to a close, we have discovered now is actually the best time to reflect on what we realistically want for 2019. Why? Because research shows 80 percent of New Year’s resolutions won’t make it into February. We don’t see that as a failure though — rather, it’s an opportunity to (re)connect with ourselves and set goals that feel right. Instead of fleeting New Year’s resolutions, this year we opted for #RISElutions: ways to get naturally refreshed and recharged through 2019, just like how you feel after your favourite bottle of RISE kombucha. 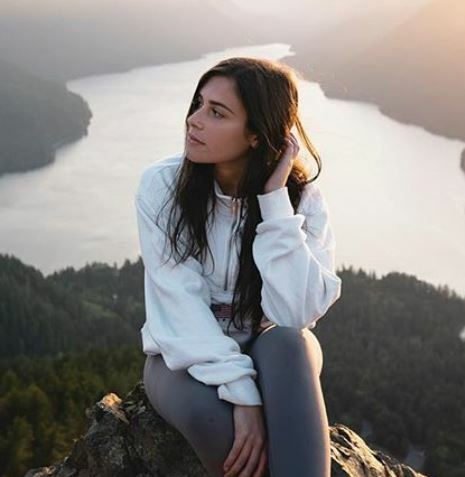 Vancouver-based traveller Meghan O’Rourke can frequently be found indulging her fans by taking jaw-dropping photos while hiking across forests, rivers and mountaintops. For 2019, her #RISElutions are reaching new heights of happiness and balance by not putting too much pressure on herself. Explore below to see why one of her favourite ways to re-centre herself —no matter where she is— is by popping a bottle of RISE Hibiscus and Rose Hips kombucha. What was your initial inspiration for these photos? 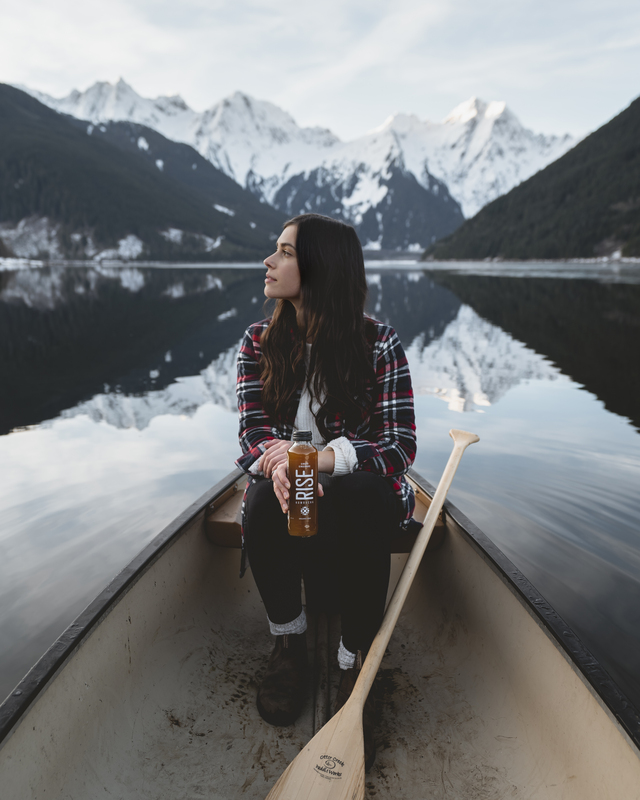 My initial inspiration for these photos was to show myself enjoying RISE kombucha in my element: the mountains. I’m born and raised in BC, and have always been grateful for the beauty around me— even more so when I got into hiking a few years back. What is your creative process for a project like this? My creative process for projects like this one is to have no expectations or solid vision before I go out and shoot; I like to get a feel for a place once I’m there. Once I begin shooting, I like to play with the light, different poses and perspectives because every location is different. Creativity involves being consciously connected to your mind, body and feelings. How do you stay mindful and engaged with yourself? I stay mindful and engaged with myself by checking in with my feelings to make sure I’m not stressed or overwhelmed. I’m by no means a multitasker, so I find I work best when I focus at accomplishing one thing at a time. Wellbeing is a raw ingredient for productivity. Do you have a daily ritual for health and happiness that helps get your creativity flowing? A daily ritual I follow for my health and happiness that helps get my creativity flowing is starting most mornings with a big green smoothie followed by a workout at the gym. I find this helps me tremendously with starting my day and being productive. Plus, eating healthy and staying active not only make me feel physically great, but keep my mind clear and focused — especially when working on the computer and going out to shoot. How does RISE inspire you? RISE inspires me to have balance in my life in all aspects — with my diet, exercise regime, work and social life. Having too much of a good thing isn’t healthy, so I find when all areas of my life are balanced, I feel internally balanced.